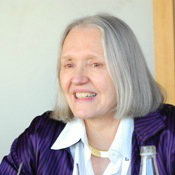 Saskia Sassen’s research and writing focuses on globalization (including social, economic and political dimensions), immigration, global cities (including cities and terrorism), the new technologies, and changes within the liberal state that result from current transnational conditions. Her interests include urban sociology, the sociology of transnational processes and globalization, technology, the dynamics of powerlessness in urban contexts and migration. 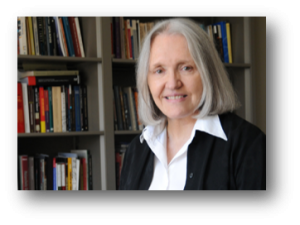 In each of the three major projects that comprise her 20 years of research, Sassen starts with a thesis that posits the unexpected and the counterintuitive in order to cut through established “truths”. Her first multi-year project led to The Mobility of Labor and Capital (Cambridge University Press, 1988). Her thesis is that foreign investment in less developed countries can actually raise the likelihood of emigration if it goes to labor-intensive sectors and/or devastates the traditional economy; this went against established notions that such investment would retain potential emigrants. Her second multi-year project led, among other publications, to The Global City: New York, London, Tokyo (Princeton University Press, 1991; 2nd ed, 2001). Her thesis is that the global economy–far from being placeless–needs very specific territorial insertions, and that this need is sharpest in the case of highly globalized and digitized sectors such as finance. This went against established notions at the time that the global economy transcended territory and its associated regulatory umbrellas. Her third multi-year project led to the award-winning Territory, Authority, Rights: From Medieval to Global Assemblages (Princeton University Press, 2006). Her thesis is that today’s partial but foundational globalizations, from economic to cultural and subjective, take place largely inside core and thick national environments and institutions. This makes globalization partly invisible because it is dressed in the clothes of the national even as it denationalizes what was historically constructed as national. Her current project, When Territory Exits Existing Framings, is under contract with Harvard University Press. 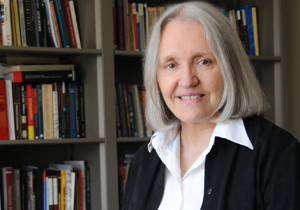 In addition to her appointments at Columbia University, Saskia Sassen serves on several editorial boards and is an advisor to several international bodies. She is a Member of the Council on Foreign Relations, and a member of the National Academy of Sciences Panel on Cities. She regularly contributes to The Huffington Post, OpenDemocracy, The Guardian, The New York Times, Le Monde Diplomatique, the International Herald Tribune, Newsweek International, and the Financial Times, among others. She serves on the Advisory Committee of Theatrum Mundi.